For Northern Territory use only. 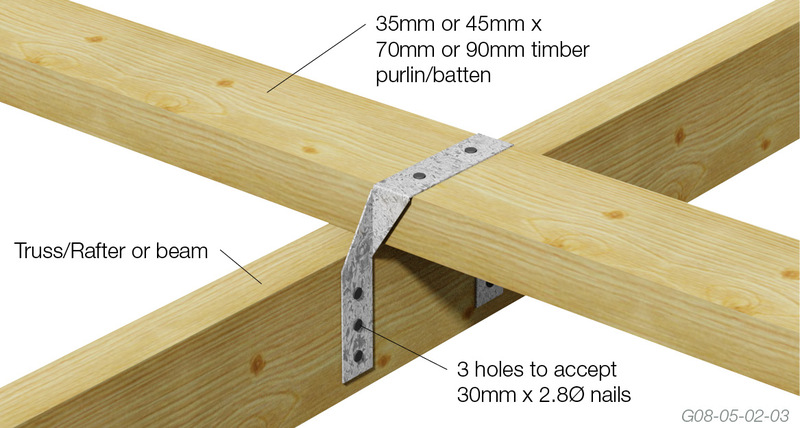 Fix purlin batten to truss or rafter with 2/75mm x 3.05Ø nails. 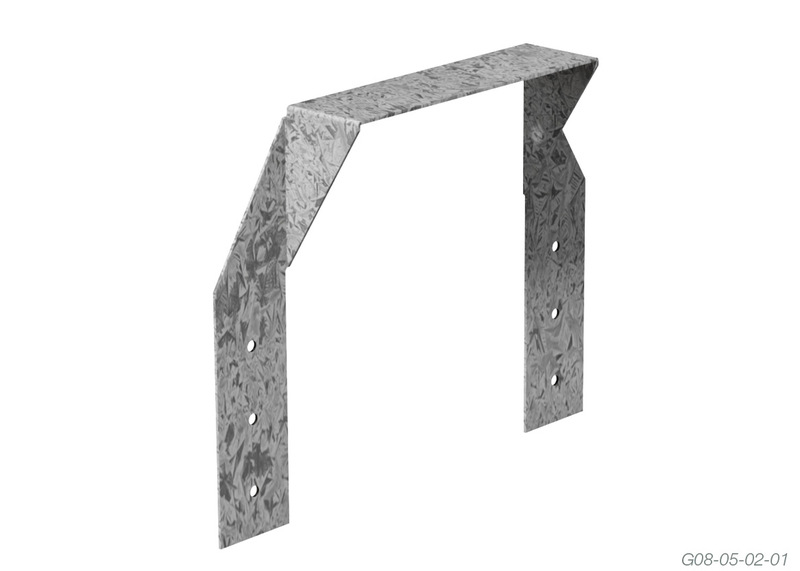 Nail both ends of purlin tie to truss or rafter for capacity required. Provide 2 purlin ties at purlin splices. 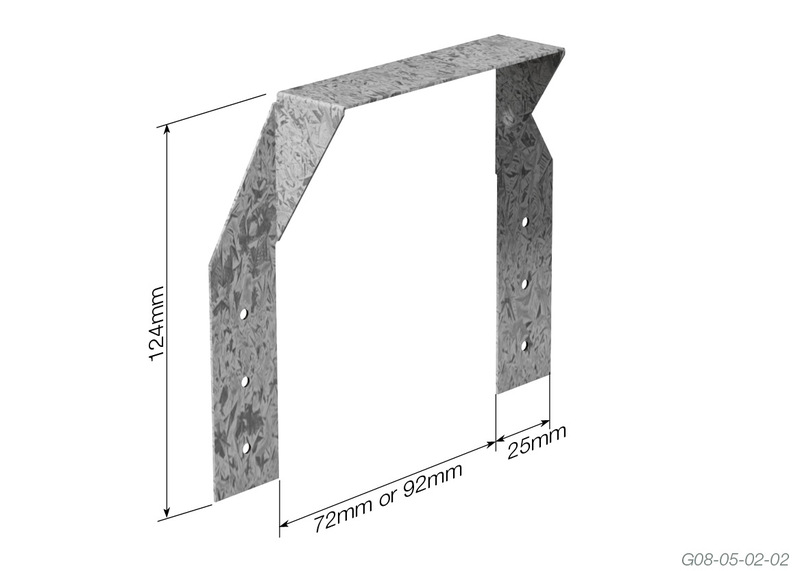 This bracket has been tested by James Cook University at the Cyclone Testing Station. Report No. TS725.